JL Ice in Crystal City, TX is the most preferred source for bags of party ice. We are licensed (# 1005128) by the Texas Department of State Health Food Manufacturers to supply ice for all commercial purposes. 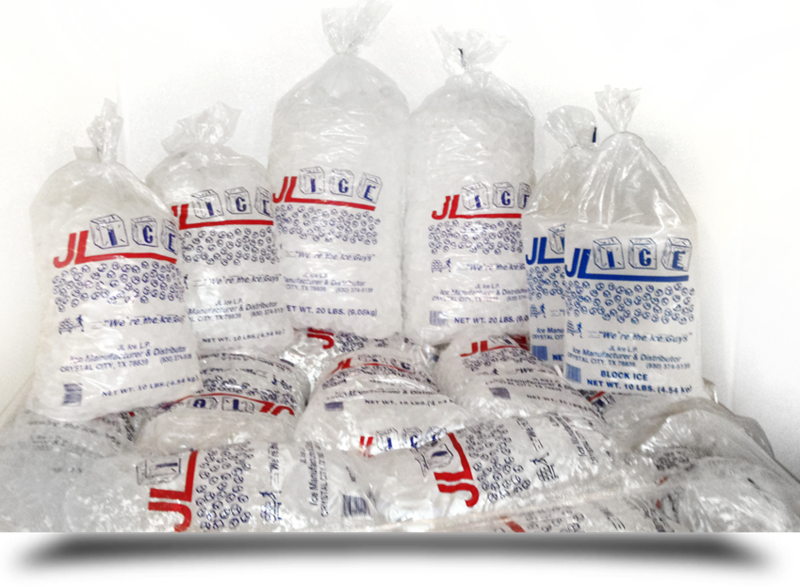 JL ICE manufactures a 10 lb party bag, a 20 lb party bag and a 10 lb block. All of our party ice is tube ice. Our block ice is a solid block of ice, made by filling a bag with 10 pounds of water and freezing it solid. We also provide ice merchandisers to store our ice if needed. Packaged ice has an exceptional profit margin from a selling standpoint. Only if you have it ready and convenient for your customer. JL Ice takes great pride in making sure that all of their customers have ice available to sell at all times. When a customer loses a sale due to not having ice so does JL Ice. 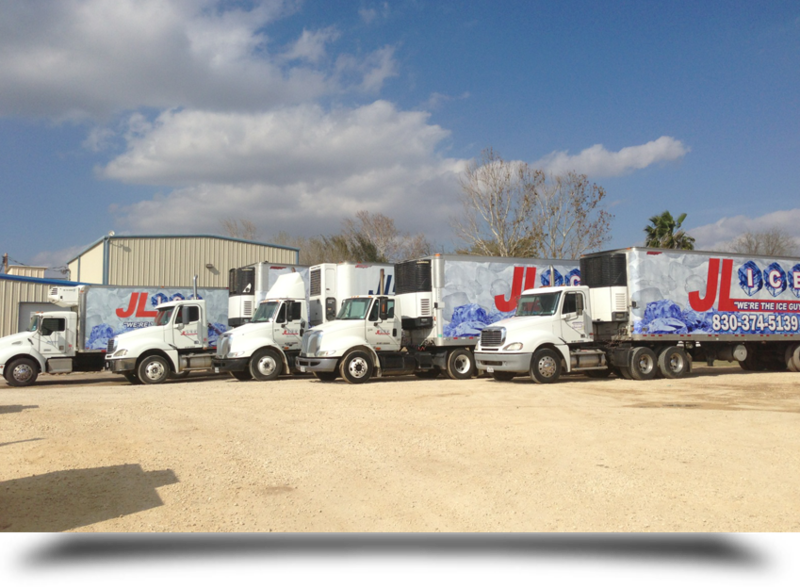 JL ICE has a fleet of five delivery trucks for normal and hot shot deliveries and two tongue pull ice trailers for smaller ice deliveries when needed. Our trucks operate 7 days a week during the warmer months and six days a week during the cooler months. JL ICE services its fleet of delivery trucks with its own in-house mechanics, and is not at the mercy of extended disrupted route schedules because of untimely repairs due to breakdowns. Our delivery schedule is dictated by our customers needs. We will customize a delivery schedule to fit your ice needs. JL ICE understands that not all ice customers have the same ice needs, some customers need ice daily, weekly or on a as needed basis. Whatever your ice needs are we are ready to take care of all your ice needs! Call us today. goes through a double chamber charcoal filtration system to remove all chlorine from the water. Copyright © 2013 JL Ice. All rights reserved.